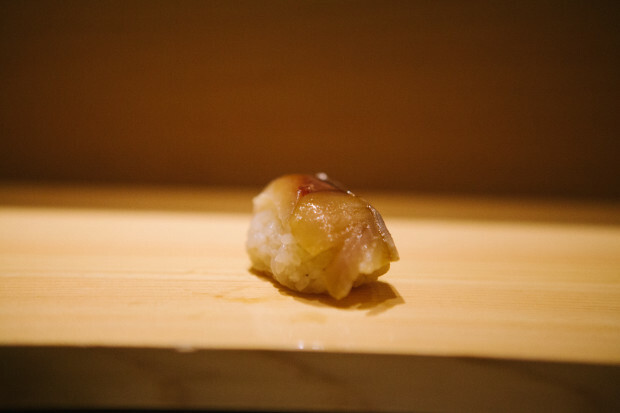 Another item on C & I's bucket list was to try sushi prepared by a master sushi chef in Tokyo. It's always a challenging to make reservations at the sushi places like these, because they often would speak only in Japanese. But Chef Yasuda has worked multiple times overseas, and even had a restaurant in New York, and he definitely spoke more English than Japanese the entire time! 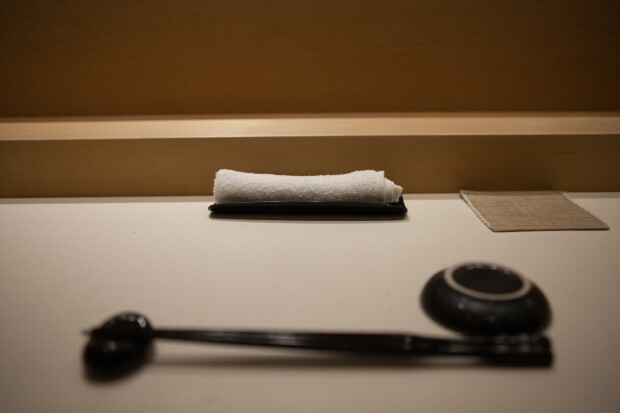 It was really easy to make reservations, you can do it directly on their website at Sushi Bar Yasuda. Make sure you allot enough time heading to any restaurants like these, cause it's a little hard to navigate (Google Maps can get lost!) After a bazillion puddles and crazy winds, we finally made it to this small basement restaurant. Yay! For dinner, you can do chef's choice (or omakase), but C & I just did the sushi set, so you get around 13-14 pieces based on the chef's selection as well. Going to these type of restaurants seem to be pretty entertaining. Not only that you get to see things get made, but you get to hear where this sea urchin was from, or what part of tuna it is - a little sushi lesson! Chef Yasuda is known for always cracking jokes, and telling lots of stories, so you definitely won't feel the time pass by. Making some tuna otoro maki - yum! Japan's super fatty tunas just can't compare... super melt in your mouth goodness! My personal favourite - Ikura. I seriously have to have this everywhere I go! Overall the experience was great, but definitely it's on the pricey side! Next time Clement and I head to Japan we won't be going through master sushi chef experiences anymore - because we feel seriously going anywhere has been pretty awesome for sushi in Japan.